This is an interesting article that I am writing. The reasons for this brake upgrade is because I changed about three set of brake rotors. I have tried OEM, aftermarket like the Bandi and drilled and slotted from other companies. After all those trials and errors, OEM brake rotors are still the best. However, those 1990 Lexus LS400 brake are very small and braking is not at its optimum. Now I am attending to upgrade the stock Lexus LS400 brake to the Supra Twin Turbo Brakes. 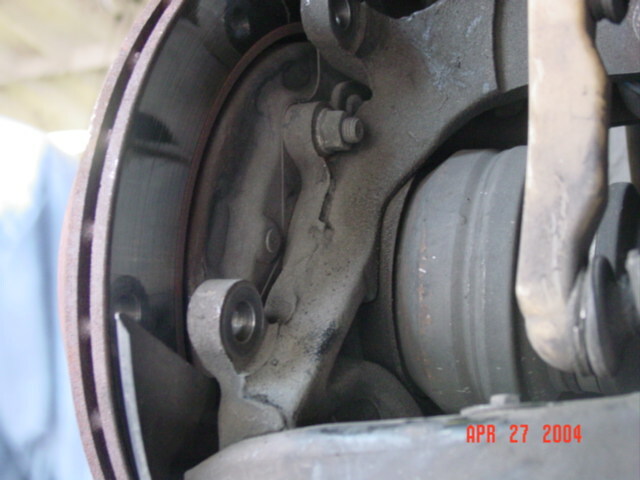 Its well documented that Lexus SC400 are direct bolt on from the Supra TT brakes. 1993 to 2000 LS400 front rotors are smaller than Supra TT front rotors. After few weeks of research. Here is what I found. There are few brake upgrade for the LS400, but the cost is over $2000 just for the front brake systems. I was told by an LS400 owner who got sponsored by a company making him a 6 pistons 14.5" rotor for the LS400. That is huge and over kill for an average Lexus LS400 owners. 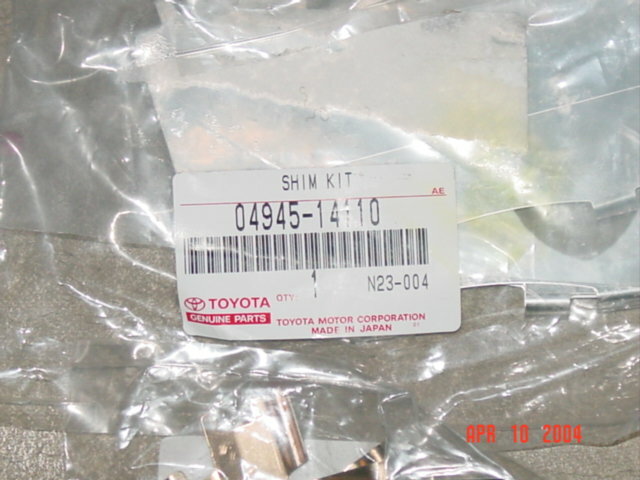 In this article we will be using 1994-1998 Toyota Supra Twin Turbo Brake calipers and after market braking accessory parts. You can do partial upgrade or full upgrade. Partial upgrade means just the front brakes. Full upgrade means both front and rear brakes. 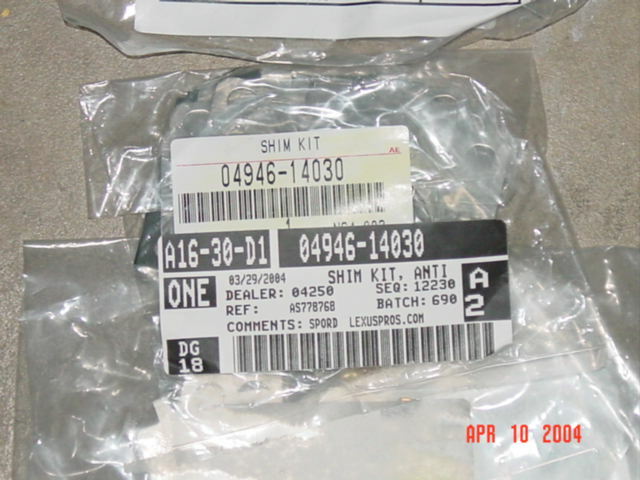 Here are the following parts you will need for the full conversion. 1. 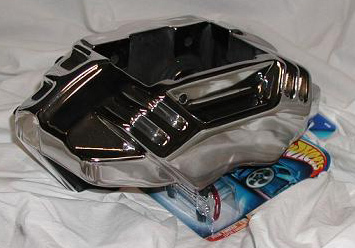 1993-1998 Toyota Supra Twin Turbo calipers: Front new from dealer is about $275 each and-Ebay about $300 a pair. 2. Supra TT rotors: I recommend getting brand new rotors. However, modifications will require. 3. Pin Kit: If its not part of the calipers. 7. 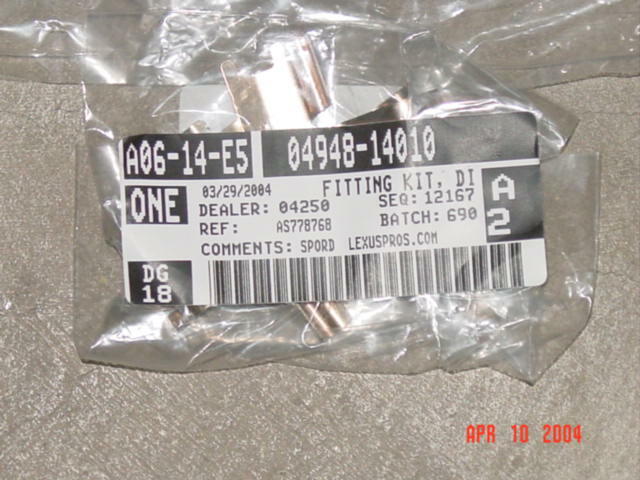 Lexus LS TT Brake lines: Optional - I recommend stainless Steel Braked Lines about $120 for all four or save some money and just re-use stock. 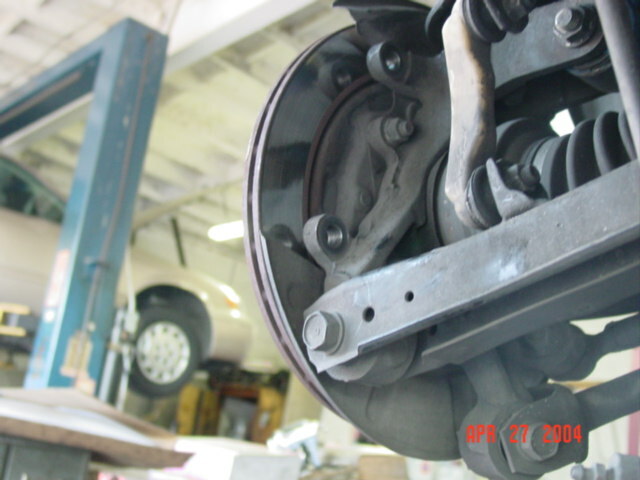 In general with about $600 and you will have a very good braking system. If you get good deal on the used calipers. I highly recommend new calipers and take a chance with used ones. You are taking a chance with used calipers. Information below will help you gather those parts. This is perfect especially when you need new rotors and pads for your LS400. Spend little more and get the best and never worry about braking problems. With many Supra owners are upgrading their brakes with aftermarket systems, you can pick them up pretty cheap. The pictures below demonstrate the huge different between the before and after picture. Its about 2" difference between LS400 rotors and Supra TT rotors. Soon, my car will be turbocharged with about 500 rwhp and I will need stopping power. Once I get all the parts in, I will discuss the procedures and problems I experience with this modification. I have read the Supra TT brakes are bolts on to the Lexus SC400. As you can see, the above front suspension knuckles are different amount the two models. However, we need to see if the bolt pattern would be different or not. 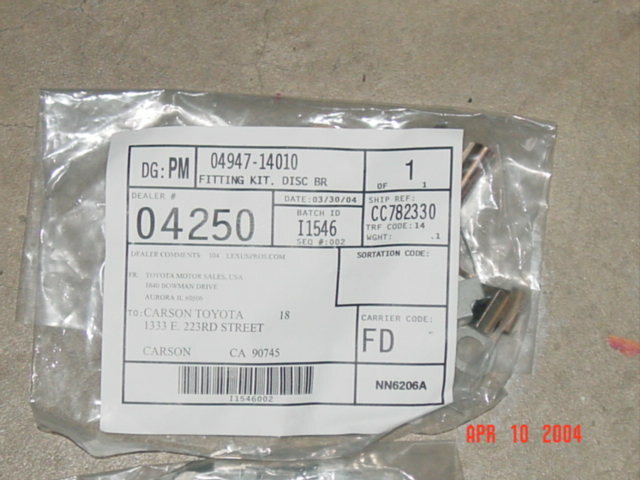 Here are the Supra Twin Turbo Calipers I got from a member of Supraforum. Polished and ready to go. The front oem Supra TT brakes normal runs about $300 pair. I got all four polished for $500 shipped. However, only Supra TT front brake work on the LS, not the rear. Finally got all the parts for the upgrades. Thanks to Tony ACleanSC4 and his brother for making a special trip just to drop off the parts. Anyway with slight modifications and special rotors made by to make this upgrade possible. Lets take a pictorial journey to the installation and modification of the front brake. Here is the Irotors.com special designed MKIV Supra TT drilled/slotted rotor with polished caliper. Another angle of this beautiful brake. The front brake are ready to go on. I have 18" rims. You will need at least 17" to clear the calipers. Front tire is removed and caliper is being un-install. The front rotor is loosen and ready to be taken out. Reach behind and loosen the Caliper screws. Use a phillip screw driver to loosen two screws to take out the rotor. Rotor is out and a close up view of the Supra Caliper. Beautiful rotors ready to be install. Dust cover is pushed back slightly so it would not rub the larger caliper and rotor. Here is the first modification on the dust cover. 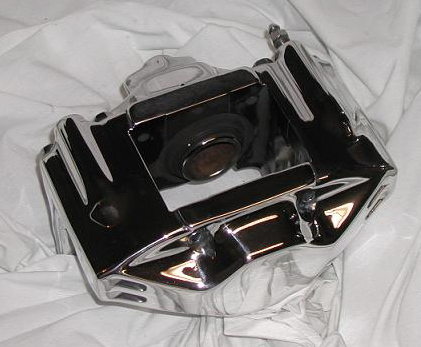 You will need to make a 45 degrees cut on the dust cover in order to clear the caliper. You can you a grinder and removal of the dust cover is not neccessary. Air grinder will work great. Its ready to install the rotor and the caliper. Caliper and rotor installed. You can use stock brake lines or upgrade to stainless steel brake lines. Installing the brake pads and shims. Here is a after Supra MKIV TT Brake upgrade picture. 1. Modified MKIV Supra Twin Turbo slotted and drilled rotors especially for the 1990-1994 Lexus LS400. 2. A partial cut to the dust cover to clear the Supra TT Caliper. Sadly to say, the rear calipers would not fit. The Lexus LS400 bracket hole from center to center is 5 1/4" and the Supra Rear calipers are 5 5/8" center to center. Its 1/2" off. Its too short to and an extension on it. Here are some pictures. You can see the different measurements between the two parts. They are about 1/2" difference. Big problem for modifications, but not impossible. Another closer look at the rear rotor can caliper carrier. Possible making an adapter to mount the Supra Rear TT brakes. Since the Supra TT rear brake did not work by no mean we are going to give up. I will try to use 2nd Generation LS400 or SC430 rear brake. 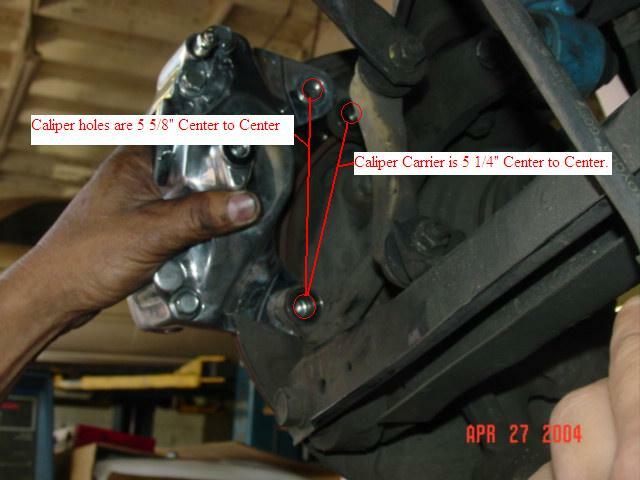 Can someone from the second generation LS400 or SC430 rear brake tell what is the center to center measurement on the caliper. 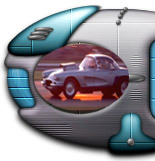 If the second generation have about 5.25" center to center then its possible. If you have the above information, please let me know asap. The quest for bigger brakes continue. This is a freelance site and its not supported by huge companies. I have been doing most of the R&D and technical write-ups by myself with my personal money. I have taken extra steps to demonstrate in details how things are done. Currently I am one of the few people doing Lexus V8 research and performance enhancement. This effort comes from my personal love for this wonderful engine. Most of the modifications are from trail and errors. There is no cook book for the 1UZFE modifications and its a virgin territory for performance. Most of the parts, labor, web development and site hosting are from my personal hobby money. If you feel my effort help you in any form, please do not hesitate to donate any amount of money to support this site.